Saudi Aramco, the world’s biggest energy company, has signed an agreement to buy a stake of up to 19.9% in Hyundai Oilbank Co. Ltd. for 1.8 trillion won ($1.6 billion), in a pre-IPO investment in the third-largest South Korean oil refiner. Under the agreement, Aramco will become the second-largest shareholder in Oilbank after Hyundai Heavy Industries Holdings, according to a press release by the parent company on Jan. 28. 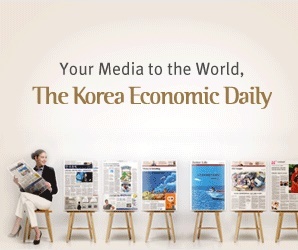 The announcement was made shortly after the Korea Economic Daily first reported the stake deal. The deal values Oilbank at 10 trillion won, or 36,000 won per share, according to Hyundai. It represents a 33% premium to the company’s estimated value of 7.5 trillion won, said Samsung Securities analyst Young-soo Han, although refining capacity additions and recent oil price falls eroded refiners’ profit margins sharply in the last quarter of 2018. “It matches the interests of Hyundai Heavy which wants to improve financial strength and of Aramco seeking to expand South Korean business,” said an oil refining industry. The stake deal, pending board approval by both companies, will give the Saudi Arabian company a board seat at Oilbank. It also comes as Saudi Arabia is expected to revisit a halted initial public offering for Aramco, worth around $2 trillion, while expanding its presence across Asia. In South Korea, Aramco holds 63.4% of fourth-ranked S-Oil which controls 20% of the country’s oil refining market, similar to the share of Oilbank. Its ownership in Oilbank is unlikely to exceed 20%, according to industry sources. Aramco is required to report the Hyundai Heavy unit as a sister company of S-Oil, if its stake in Oilbank tops 20%. In 2015, its attempt to buy a stake in GS Caltex Corp., a 50:50 joint venture between GS Energy Corp. and Chevron Corp. failed for unknown reasons. Hit hard by the sluggish shipbuilding industry, Hyundai Heavy had sought to list Oilbank in which it owns 91% to raise up to 2 trillion won. With the planned initial public offering being delayed, the company accepted a pre-IPO investment offer from Aramco it had rejected before. Hyundai Heavy will use the proceeds from the stake sale to improve its financial structure and invest in new businesses. It also expects the stake deal to give new business opportunities in petrochemistry, oilfield development and lubricant manufacturing and to help win shipbuilding and offshore plant orders from the Middle East. A Hyundai Heavy source said that it will proceed with an IPO for Oilbank after next year, noting that the listing plant remains intact. Oilbank posted an operating profit of 836.3 billion won for nine months to September 2018 against sales of 15.4 trillion won. But for the October-December quarter, all four South Korean refiners swung to an operating loss because of poor refining margins, according to analysts’ estimates. For full 2017, its operating profit was a record 1.1 trillion won on sales of 16.4 trillion won.